The Western Museums Association (WMA) 2014 Annual Meeting in Las Vegas will be here before you know it! The WMA is happy to announce the official Request for Proposals for the 2014 Poster Presentations Session. 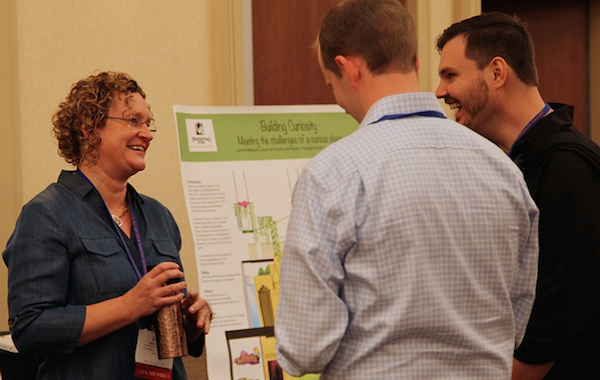 The goal of the poster session is to showcase how museums are changing perspectives and are moving to “Expect the Unexpected,” the theme of WMA 2014 Annual Meeting. This Poster Session is an opportunity to obtain new insights, share ideas and projects, and network with museum colleagues in an informal setting. The deadline for Poster Session Proposals is Friday, May 30, 2014. Click HERE to see the full Call for Proposals. Each presenter will prepare a poster, handouts and other materials as relevant, and conference attendees will be invited to walk from display to display, read the posters and other materials, and interact with the presenters. Poster sizes should be between 20”x25” to 30”x42” inches, and there will be easels to stand them on. Presenters must be available to answer questions and talk about their projects/research on Tuesday, October 7, 2014; 9:45 am – 10:30 am. Presenters must be knowledgeable about the projects/research study. If accepted, presenters will be sent guidelines for content, format, and delivery of materials. To submit a proposal, Click HERE to download the Poster Session Proposal Form, and emailing your completed form to Lauren Valone with "Poster Session Proposal – (Your Last Name)" as the subject by Friday, May 30, 2014.